If you have kids, you know that when they get out of school those little creatures walk out hungry and always want a snack. So in honor of Dia de los Niños, Anthony and I baked a cake. 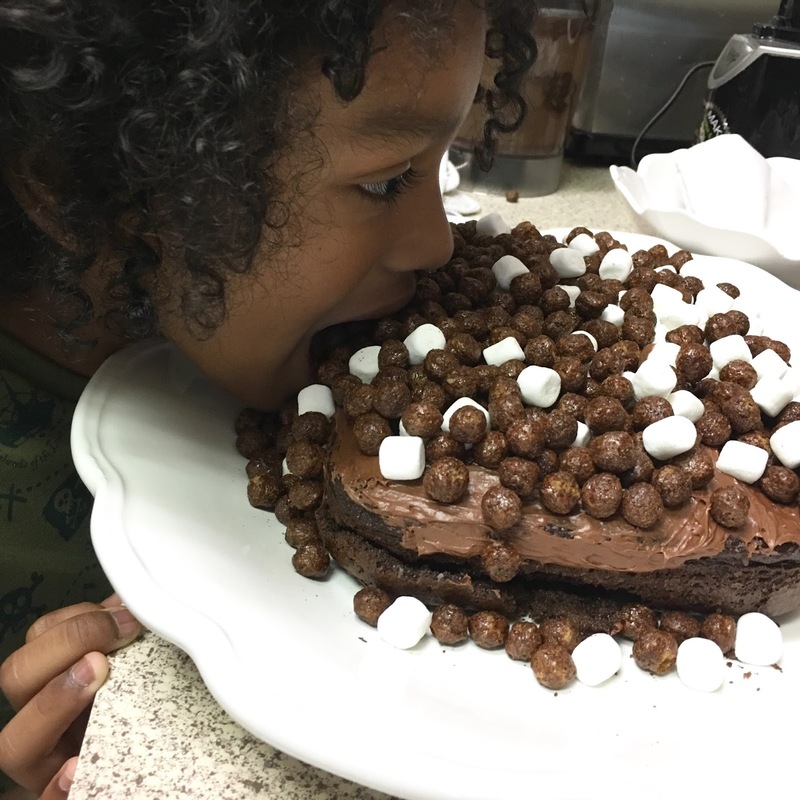 We didn't just bake any cake, we baked a Cocoa Puffs Chocolate cake with marshmallows If you follow me on Instagram and Snapchat, than you know I spend a whole lot of time with him and you may have noticed he loves him some Cocoa Puffs and chocolate cake so why not combine his favorites into one?! I went to the quericavida.com for inspiration but Anthony is simple and picky, you know how kids are so we agreed on this other option, which was simple and delicious! 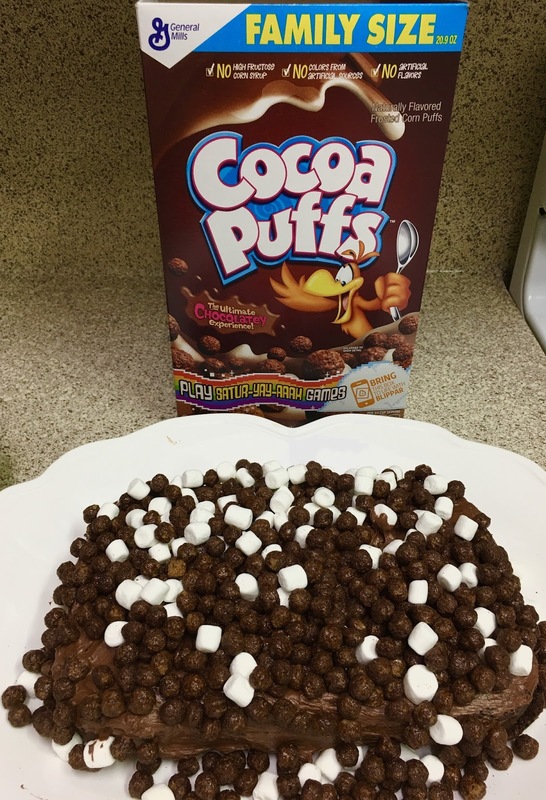 We took a trip to Wal-Mart over the weekend and purchased a family size box of Cocoa Puffs, cake ingredients and I promised Anthony that he would decorate the cake and that I would bake it while he was at school. Monday after school school, he surely asked if I had baked the cake? Unfortunately for him, I had not (mommy was busy) but I did tell him he would be my assistant chef aka little helper as soon as we arrived home and he was excited about that! We got our ingredients together and began our project. Watch the video, its cute! Remember to enjoy some quality time with your children. We live in a super fast paced world that creating lasting memories with them is key and Big G Cereals helps create those loving, fun and delicious moments for us here at home.